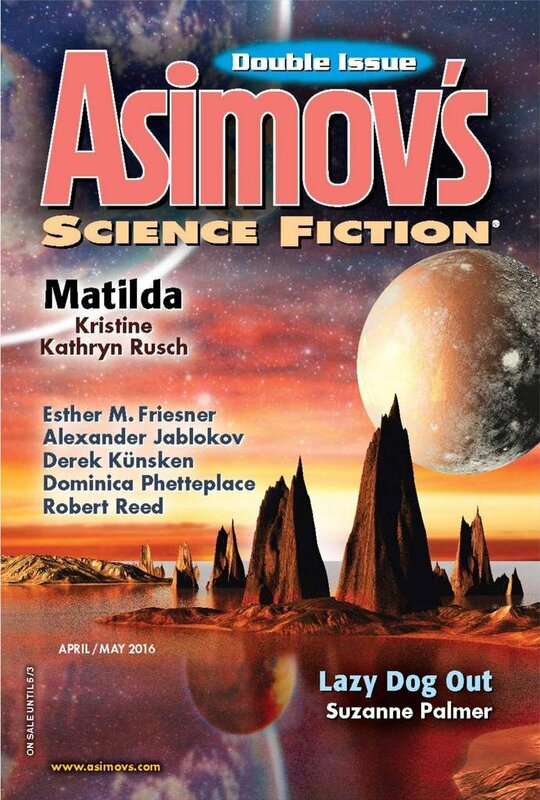 "Matilda," by Kristine Kathryn Rusch [bio] (edited by Sheila Williams), appeared in Asimov's Science Fiction issue 04-05|16, published on March 24, 2016 by Penny Publications. This story shatters suspension of disbelief in one paragraph after another. "Blank" areas of space make no sense; what can a visit show that telescopes can't see? This last-minute plan of sending someone who is clearly unsuited to this type of vehicle seems astonishingly stupid. And they whole idea of constructing a ship that's so emotional that it has trouble doing its job makes no sense either. But the worst, the absolute worst, is the idea that a human's "life force" could somehow make a difference in propelling a space ship.